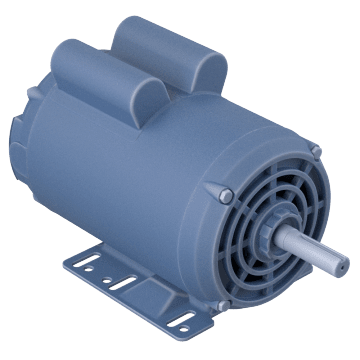 Air compressor motors drive a variety of different equipment, including pneumatic material handling equipment, conveyors, air powered tools, and pumps. 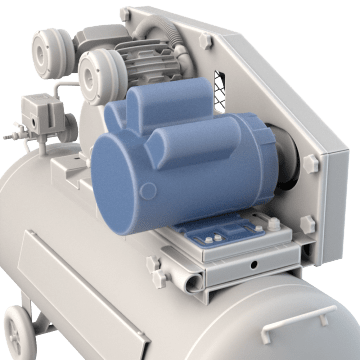 They can handle air compressor loads that require high force, and will work on portable and stationary compressors. These general purpose air compressor motors are a good choice for occasional use applications. 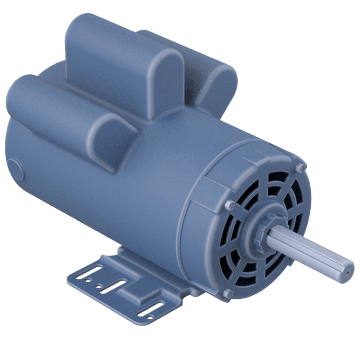 Also known as manual overload protection motors, these motors automatically shut down to prevent damage from overheating and must be manually restarted to resume power. Use these motors in air compressor applications where an unexpected start could be hazardous.